Our next game takes us to the stadium of light to face Sunderland, Sunderland have been poor this season and shouldn't prove to be much of an obstacle. Today's game should be an easy win by rights, unfortunately for Sunderland they are a very poor team at the moment. I just cannot figure out why Paolo Di Canio was ever allowed near the managers job at Sunderland, he has shown himself to be an absolute idiot in every possible way over the years, so why would you put him in charge of a football club? He sold Sunderland's best player in Sessegnon, then signed a load of mediocre rubbish, then got sacked and that is all he did whilst at the club. It is a shame because Sunderland haven't been shy of spending a few quid over the past few seasons and at one point they looked like they were progressing well, Di Canio has left them in a right mess. Sunderland wont be looking forward to playing us today, we are winning games in first gear and scoring plenty of goals in the process. We have scored 20 goals in our last 6 games and have done it without having to play to the best of our ability, the team are flowing and playing with confidence. Our only worry at the moment seems to be with injuries, of course Kompany has been out and now it looks like we are going to be without Silva, who has been on fire this season, for at least 3 - 4 weeks. There is also doubts over Nastasic, Fernandinho and Garcia, whilst Jovetic is still recovering from a calf problem. We need to get a bit of luck concerning injuries, every time an important member of the squad suffers one they seem to be out for a minimum of a month, if we pick up any more it could really start causing us problems. Man City Team News: Vincent Kompany (thigh), David Silva (calf) and Stevan Jovetic (calf) are all ruled out, Matija Nastasic and Fernandinho are doubtful after suffering knocks against CSKA Moscow, Javi Garcia is expected to undergo a late fitness test. Sunderland Team News: Ondrej Celustka had a knock but is expected to shake it off in time to feature for Sunderland, Emanuele Giaccherini is a doubt with a back problem, ex City youth Keiren Westwood is expected to return to goal after recovering from concussion. Lee Cattermole and Andrea Dossena are both suspended. Possible Man City Line Up: Pantilimon, Zabaleta, Demichelis, Nastasic, Clichy, Toure, Fernandinho, Milner, Nasri, Aguero, Negredo. Possible Sunderland Line Up: Westwood, Celustka, Cuellar, O'Shea, Bardsley, Johnson, Ki, Larsson, Giaccherini, Fletcher, Altidore. 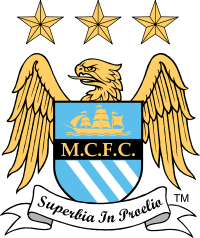 My Prediction: Sunderland 0 - 4 Man City. Worth A Bet: Samir Nasri scores the first goal in a 0 - 4 Man City win @ 100/1. Sunderland 1 - 0 Man City - Not good enough!